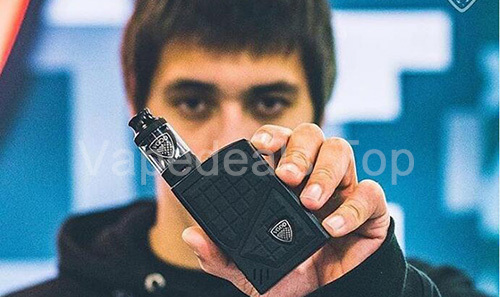 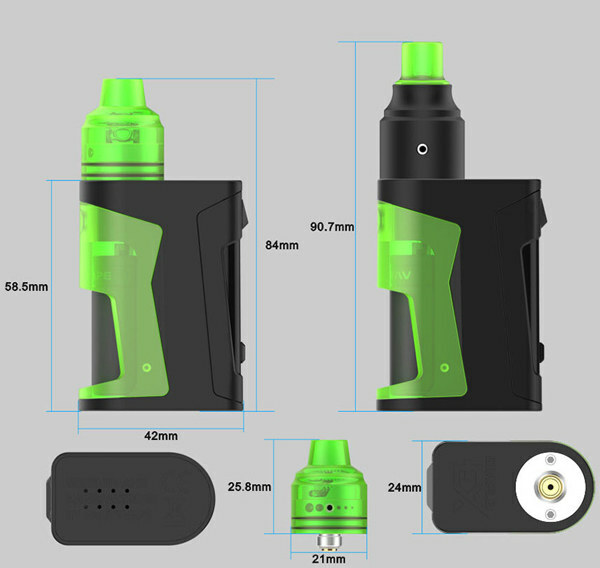 The VandyVape Simple EX squonk kit is very small in size with the only 58.5mm for the mod just like a pod system kit. 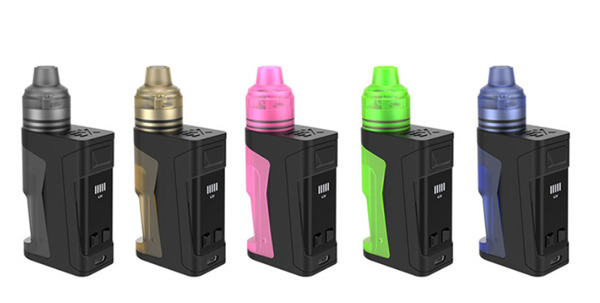 Constructed with ABS and Nylon material with shine colors, the simple EX Squonk kit looks shining and exquisite. 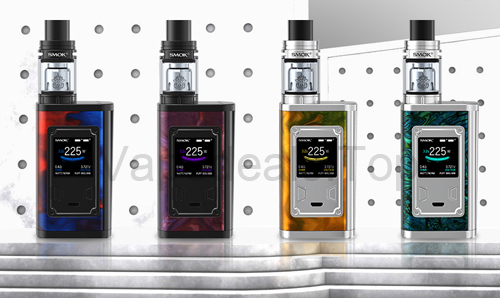 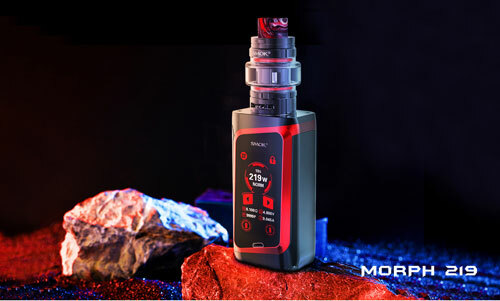 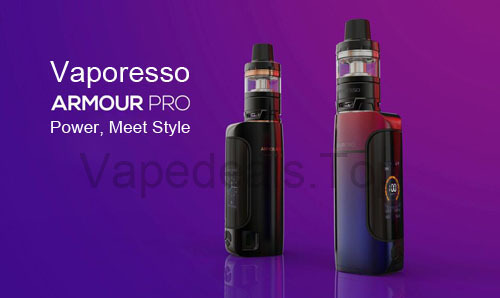 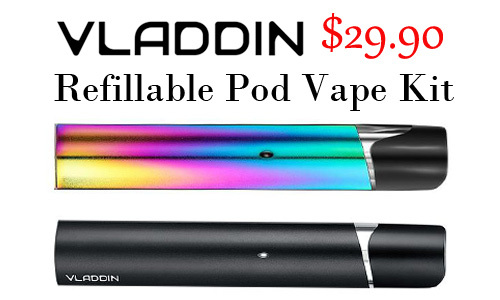 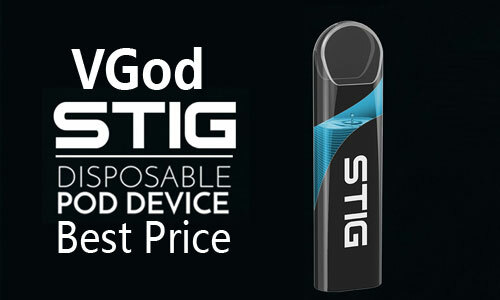 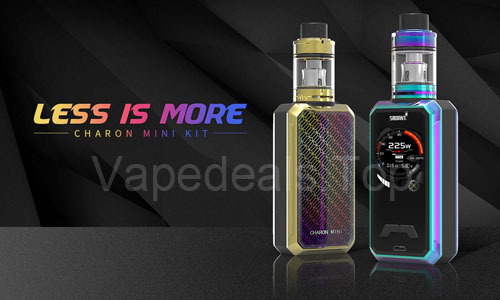 Powered by the built-in battery, it features an OLED Screen for battery and voltage display, a 4ml capacity silicone bottle with has a leak-proof 510 connector on the top and smart chipset. 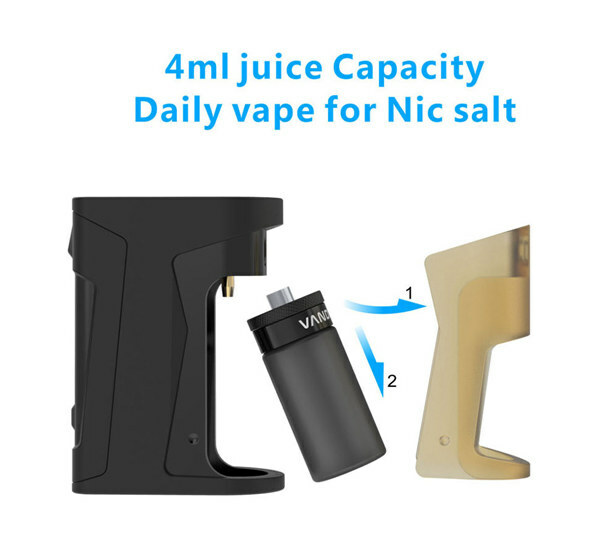 The voltage is from 3.3 to 4.5Volts(including 3.3V, 3.6V, 3.9V, 4.2V, 4.5V) with increasing 0.3Volts for adjustment every time. 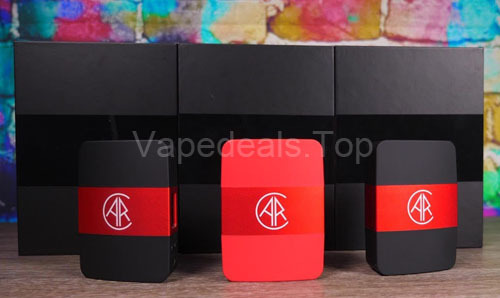 The 4ml squonk bottle is soft, easy to squeeze and leak-proof. 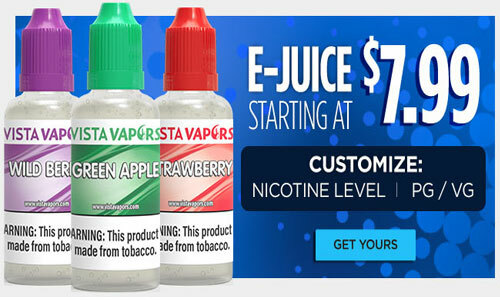 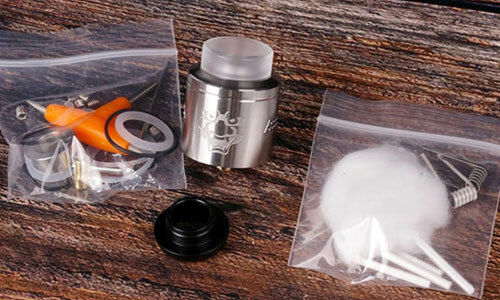 The Simple EX RDA features two-posts build deck for single coil with deep juice well. 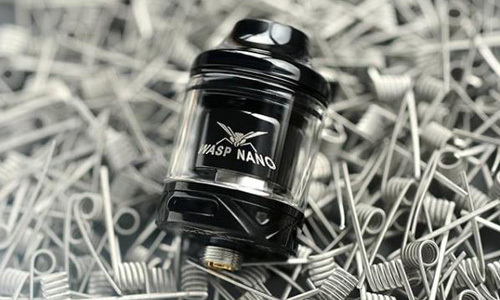 It has six airflow holes of various sizes on single side, and you can rotate the top cap to adjust airflow. 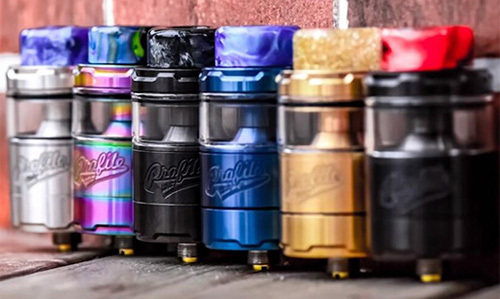 There are Delrin drip tip, PC drip tip, clear acrylic top cap and stainless steel top cap for you, and gold-plated regular pin and squonk pin are included, too.